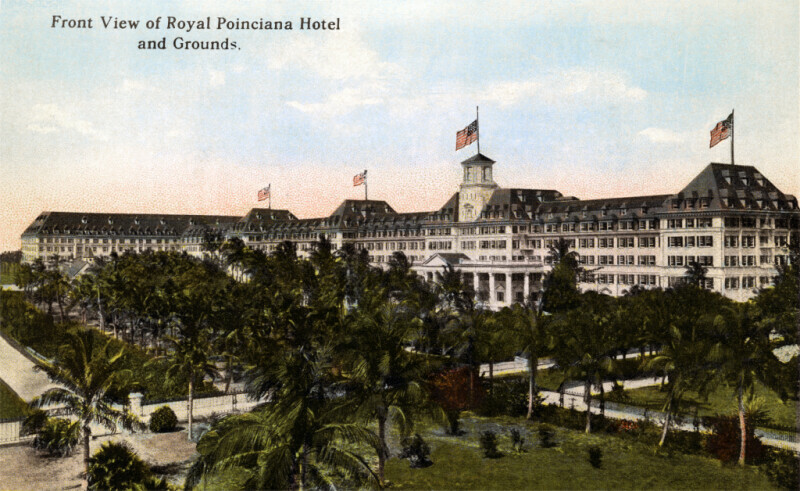 The image shows the front of the Royal Poinciana Hotel. There are many palm trees growing on the ground of the hotel. A paved road leads up to the hotel's entrance. To the right, behind a fence, there are paved trails running through the hotel's gardens. WARNING: You are about to download a 11.6 MB TIFF!